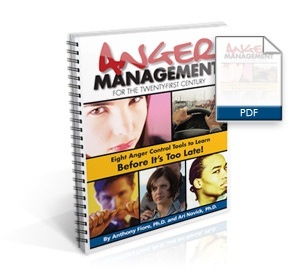 View cart “Anger Management for the 21st Century” has been added to your cart. A Happy Marriage is Possible! This Guide and my new marriageclassonline.com program were created for these couples. The Eight Keys to a Happy Marriage guide is NOT a “silver bullet,” offering instant bliss, guaranteed to save every marriage. But, the online program and this guide are short, straightforward and easy-to-read. Both are written in useful, simple and everyday language which allows you to immediately start changing things for the better in your relationship or marriage-sometimes, even, if your partner won’t cooperate at first. Hello. My name is Dr. Tony Fiore, a licensed psychologist and marital therapist. For over 25 years, I’ve helped hundreds of couples revive relationships or marriages torn apart by the effects of anger, poor communication, faulty expectations, and the inability to deal with the stresses and strains of everyday relationship life. I created marriageclassonline.com to help couples in an unhappy relationship. The program is not marriage counseling, but marriage education that can help you strengthen, or even save it-without costly marriage counseling. As an introduction to marriageclassonline.com, The Eight Keys to a Happy Marriage Brief Guide gives you a start in learning how to be a successful couple-whether you’re dating, cohabiting, newly married, or long-term married. Many of my couples are not as happy in their relationship as they used to be, but aren’t ready to give up on their relationship or marriage. Yet, they don’t know what steps to take to rekindle it, especially if they’re with a partner whom they view as “impossible” or unwilling to change. Other couples know their relationship is on the rocks, but can’t convince their partners to go to a marriage therapist, Or – in other cases – they can’t afford it or don’t have time for it. Yet they crave useful and practical marriage information and skills that will help. How Can Just One Partner Take Action? Don’t both partners need to work on the relationship in order to change things? My short answer: not necessarily! In my experience, many relationships can be slowly improved if only one partner initiates the change process. And, this can be done without the changing partner “giving in,” sacrificing what’s important to them, or yielding entirely to the wishes or control of the other. The reason one person can start the ball rolling and put their relationship on a better course is because you and your partner are constantly influencing and reacting to each other, even if you re not aware of it. Problems are created not only by what you do or what they do, but also by each of your reactions to the other.